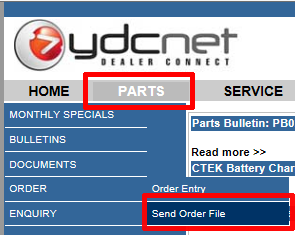 To upload an order you first need to export it out of c9. Exporting is similar to printing except it is saved as a file on your computer which is then to be uploaded into Yamaha YDC website. Spares -> Orders -> Export. 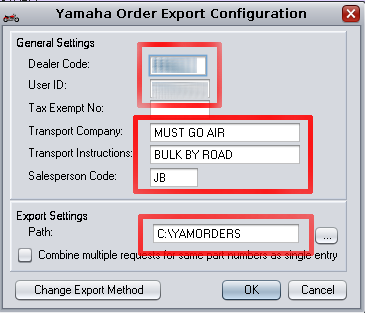 Select yamaha order you want to export. Export Settings: Setup a folder c:\yamorders\ or something similar. Now when you click OK c9 will create the above file for you. Click Browse to select the file exported from C9 in step 1 above. Then select submit.